DORO anuncia la fecha de lanzamiento de su nuevo single "All For Metal"
El 8 de junio se publicará "All For Metal", el primer single y videoclip del nuevo disco de Doro "Forever Warriors, Forever United"
2018-05-09 - »Forever Warriors, Forever United« - 100 days to go until the release of DORO's highly anticipated new studio album. 100 days of waiting until the metal queen unleashes 25 (!) 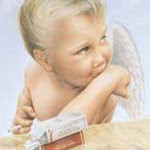 brand new songs, her first double album ever, upon the music world. But »Forever Warriors, Forever United« isn't simply just a double album - it's two new DORO records as one, which will be released as premium 2CD set and vinyl formats on August 17th, 2018 through Nuclear Blast. The first single 'All For Metal' features several metal heroes, who can also be seen in the upcoming music video, which will be released on June 8th. The list of guest stars will be unveiled soon... and DORO is already convinced that "'All For Metal' is going to be the new 'All We Are'!" DORO: nuevo tema "Lift Me Up"
Detalles del nuevo EP de DORO, titulado "Backstage To Heaven"
Doro Pesch lanzará un EP en vinilo, titulado "Backstage To Heaven", el 8 de marzo coincidiendo con el inicio de la segunda etapa de su gira mundial. El EP contará con dos temas de su anterior disco, así como dos nuevas grabaciones en directo. 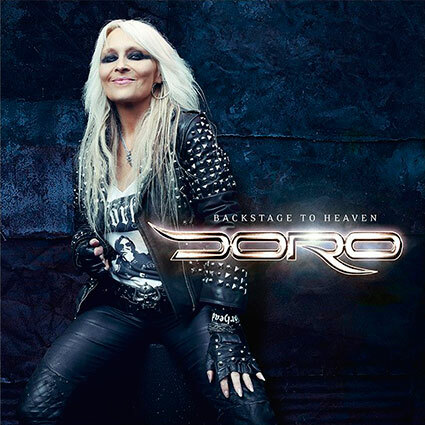 DORO - to release »Backstage To Heaven« EP on March 8th, pre-sale starts today! 2019-01-04 - 2018 was an exciting year for DORO, releasing two successful albums at the same time. "Forever Warriors, Forever United" went straight to #1 in the German vinyl charts as well as to #4 of the German album charts, marking the highest ever entry in her home country. DORO has now announced to release the 4-track vinyl EP »Backstage To Heaven« on March 8th - on the same day the second leg of her worldtour kicks off! The EP will feature two album tracks, as well as two unreleased, new live tracks. 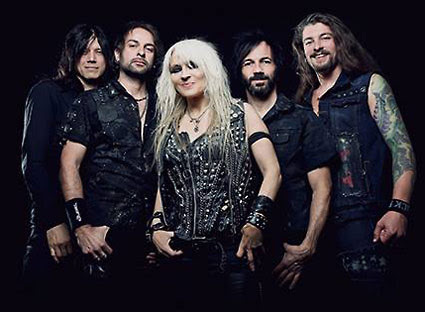 "I wish you all a happy new year, it will surely become a rocking 2019”, says Doro Pesch and continues: “I'm really looking forward to the upcoming European tour in March and therefore we come up with something very special: We will have a new single out as a beautiful, coloured 10inch vinyl. The title track 'Backstage To Heaven' is another fan favorite of our double album "Forever Warriors // Forever United" and we had the famous German comedian and musician Helge Schneider in the studio as an exceptional guest, playing a saxophone solo. The following 'Heartbroken' has another high profile guest: Doug Aldrich (WHITESNAKE, DIO, THE DEAD DAISIES a.o.) contributes an impressive guitar solo and the B-side also offers something exclusive: two brand new live recordings from the first part of the "Forever Warriors // Forever United" tour, featuring a crunchy version of 'Blood, Sweat And Rock'n'Roll' and an exclusive recording of 'If I Can’t Have You No One Will', along with my duet partner Johan Hegg from AMON AMARTH."